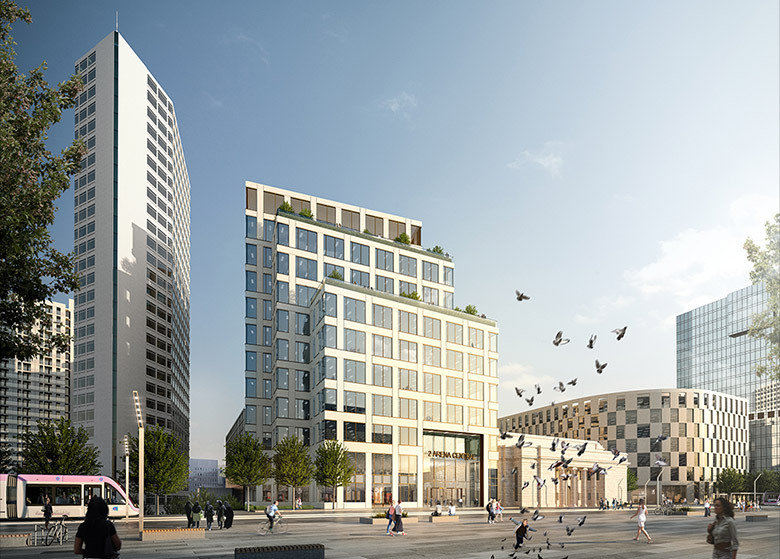 Building work is set to start on the third commercial building at Birmingham’s Arena Central development after a tenancy deal was secured with the Cabinet Office. 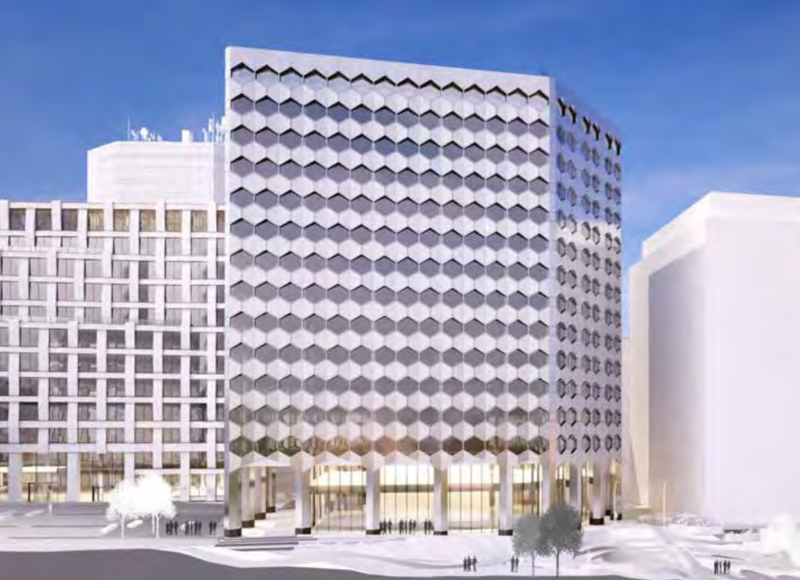 Galliford Try, which built the neighbouring 1 Centenary Square now being fitted out, will deliver the distinctive 14-floor office building under a £65m contract. Demolition and site clearance work will commence imminently and the building handed over for fit out in spring 2020. Arena Central is being delivered by ACDL, a joint venture between Miller Developments and Pro Vinci Asset Management. 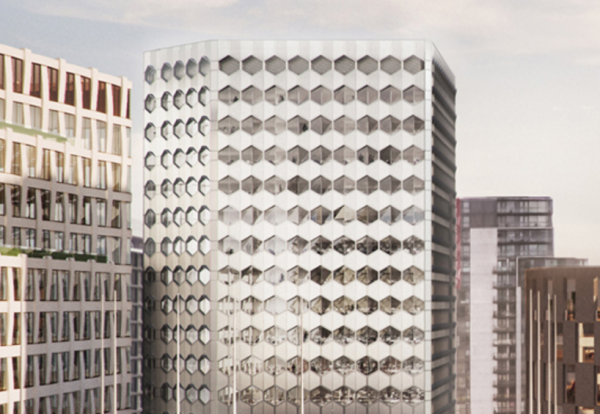 Designed by Make Architects, the building will offer 230,000 sq ft of commercial space. 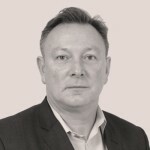 Andrew Sutherland, ACDL, said: “The team at Make has done an exceptional job in designing the highly desirable, contemporary buildings that form the core of Arena Central. 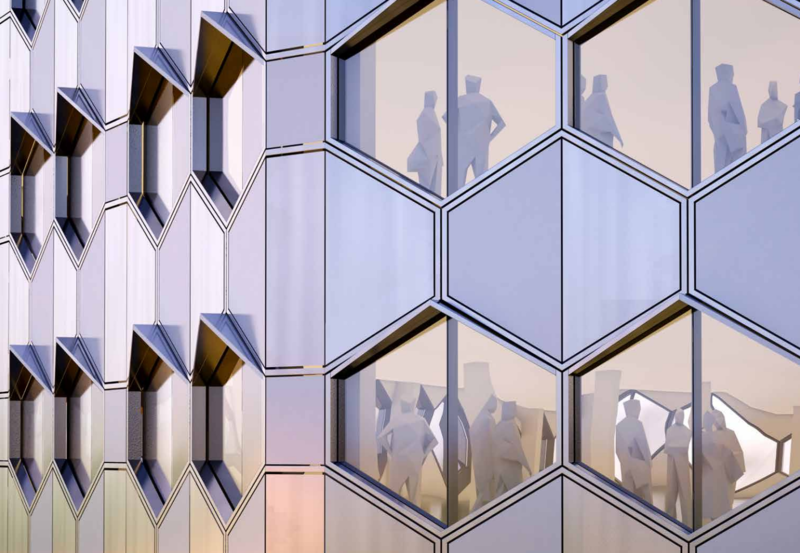 The exterior of the building will be clad in a geometric pattern of hexagonal metallic panels, while a double-height colonnade along the northern face will create a direct visual link and pedestrian route east-to-west across the site from Alpha Plaza to the canal basin. The cladding of 3 Arena Central is composed of a metallic rainscreen assembled as flat metal panels, with recessed windows offering depth. Adjacent to Centenary Square and the Library of Birmingham and fronting Broad Street, Arena Central is a key commercial development for Birmingham, with outline consent in place for over 1m sq ft of commercial space, including the 135,000 sq ft 1 Arena Central and 210,000 sq ft 1 Centenary Square (formerly 2 Arena Central), Birmingham’s first building with LEED Gold accreditation, which, in 2018, is due to become the headquarters of HSBC’s new ringfenced retail banking division.